Pioneers in the industry, we are offering an excellent range of Trash Bin. This range is manufactured using high grade raw material & ultra-modern technology under the guidance of our quality controllers. Metal Trash Can. 8x814 inch. The Trash Bin/Ash Bin manufactured by us are hygienic as well as easy to clean.Unlike simple dustbins, these look tidier and are capable of accommodating large amount of trash. 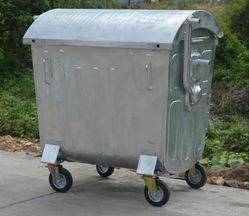 The appealing looks and remarkable features of these dustbins have accelerated their demand across India. Recycling Trash Can Coverd with wooden frame. We are engaged in offering Rubbish bins in the brand name of sandy that is fabricated using quality raw material in compliance with international standards. 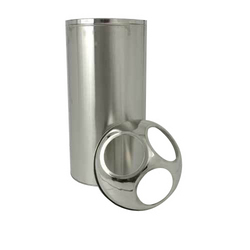 The product is dimensionally accurate, durable and non-corrosive. Tested on various parameters , it is customized as required by the client.